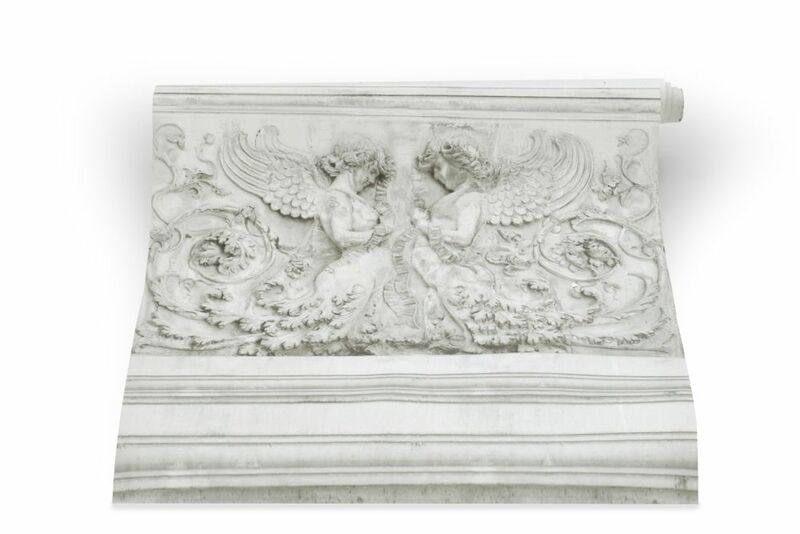 The 'Stone Angels' wallpaper is inspired by stone architectural details. The wallpaper features angels reminiscent of renaissance sculptures and cathedrals, creating the effect of an exquisitely carved ornate wall. It conjures up a serene, romantic scene like that of an Italian palazzo or a garden courtyard. Perfect for feature walls or a whole room. It is printed on to finest quality smooth paper and is suitable for both domestic and commercial use.